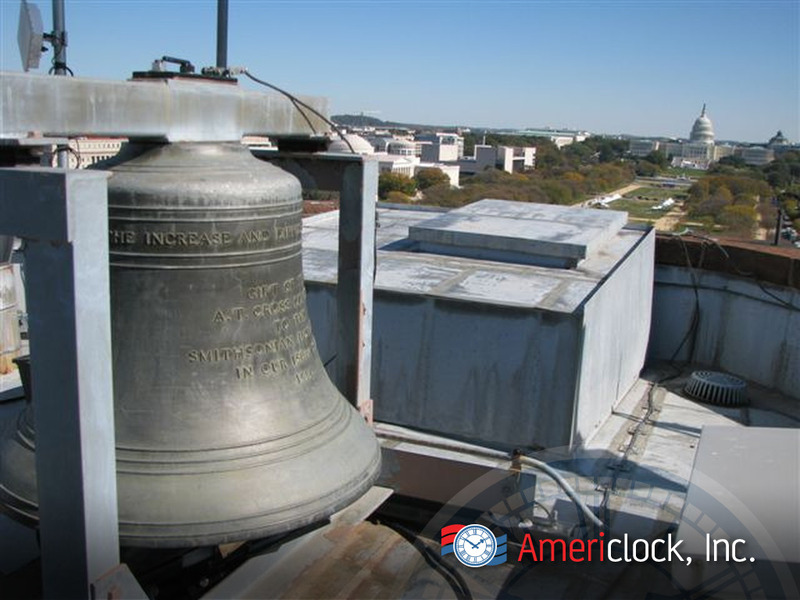 We offer experience professional installation of your clocks and bells using our fully insured in-house installers that come to the project site and install your clocks and bells. 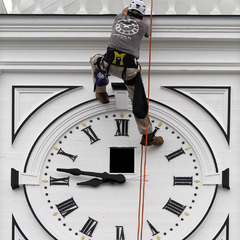 Unlike other companies, we do not do not use reps who are uninsured, to install our clocks. 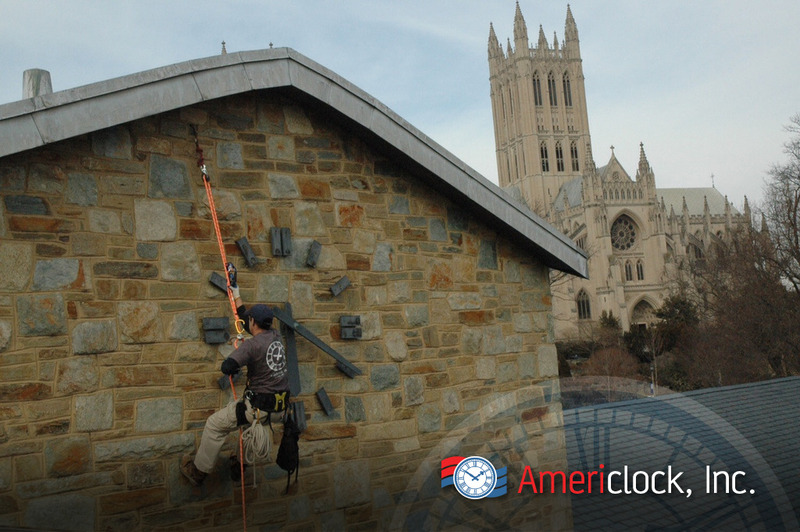 By contrast our installer are not reps and are full time Americlock employees and are fully insured. 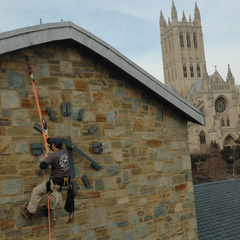 Our company installers are craftsman and are often with you from day one. When they are not in the field they spend their time in our shop overseeing the design and fabrication of your project. 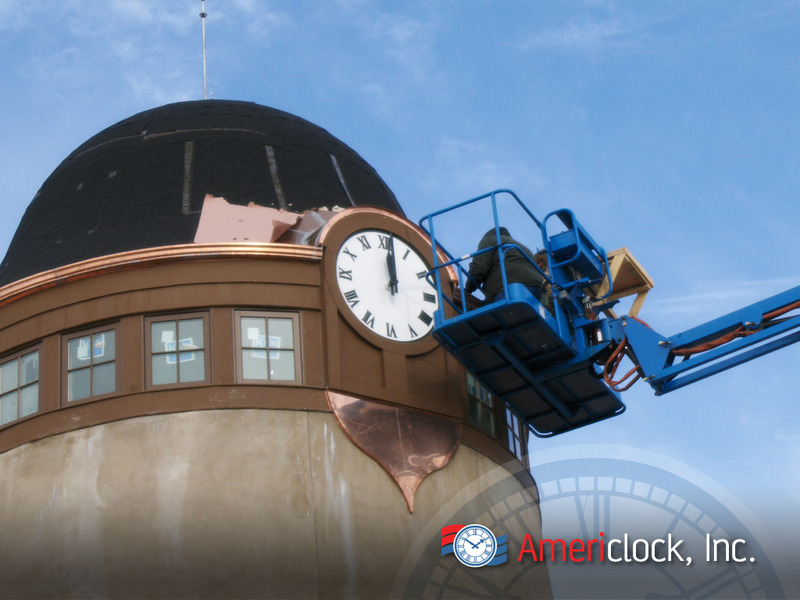 They know every aspect of your clock or bell system and guarantee the best service from the start of your project until your clock is installed. 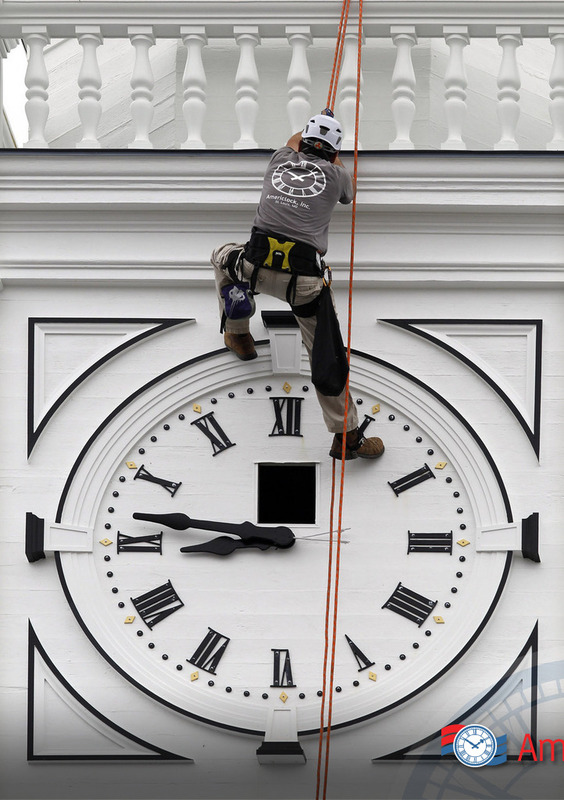 We coordinate with the proper trades to ensure a smooth and cost-effective installation process of your clocks and clock systems. By using in-house installers, we can ensure a quality installation while providing the proper tools and methods to do the job. 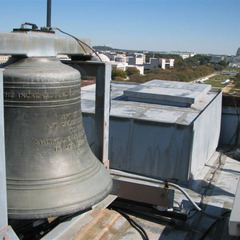 By not outsourcing to a “company representative,” we can ensure quality with our name behind every clock and bell installation. 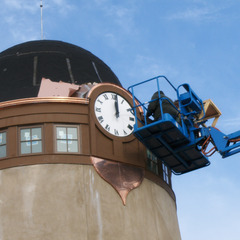 We can also advise on installation, where you will provide equipment and manpower, as well as help you remedy any issues that may arise during the construction phase of your clock project. Our installers are fully insured. Our controllers remotely monitor our clock systems. These smart controllers automatically reset the clock after power outages and for Daylight Saving Time. If your state or country does not have Daylight Saving Time, the function can be disabled. Our controllers are designed to ensure your clock is always on time! A commercial grade solid-state motherboard increases the longevity of the controller. Unlike traditional systems, we do not use moving parts or timing pins in our controller. With less moving parts there are fewer things that can go wrong ensuring accurate timing and longevity of our system. The clock controller sends the clock movement a signal once a minute which reduces the ware and tear on the motor. Power consumption: Our controllers can run on 24V, 120V, or 220V power. They use less than 1 amp of power which is the about the same power consumption as a 100-watt light bulb. We offer GPS systems that communicate with our controllers to adjust the time based systems four times a day and provide constant and total accuracy. 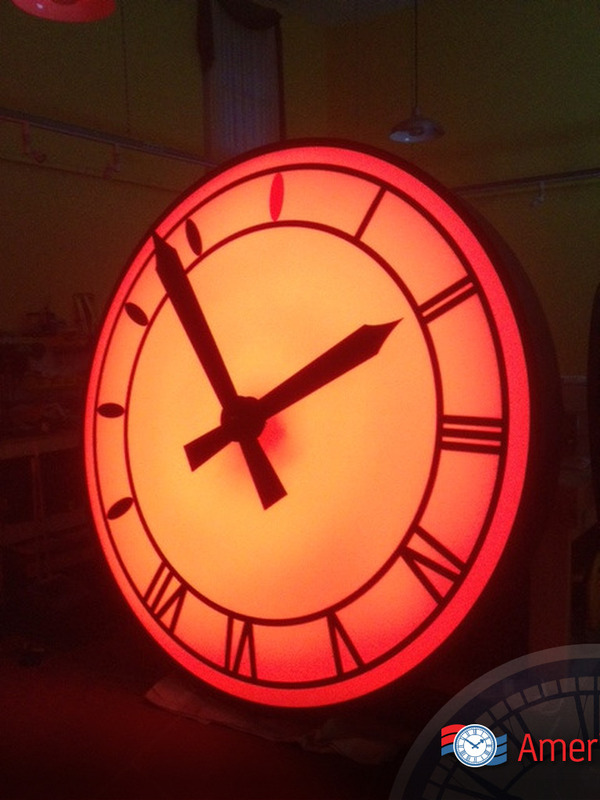 Whether your clock is a two feet or a fifty foot diameter clock, our clock movement technology is able to support your needs and requirements. All our impulse unites are fitted with a Maltese wheel system preventing the hands from rotating in an anti-clockwise direction in the event of hurricane force winds. The impulse and gears are driven by a 3-wire system and the gear units are available in various shaft lengths. Our gears are made from non-metallic materials that will not expand or contract, guaranteeing the gears in your clock will not bind in extreme temperatures. These gears also will not corrode, ensuring longevity of the motor. The shafts are made from a high-grade stainless steel and are held in place by a self-lubricating nylon bushing. Our clock motors and controllers are excellent for LEED-certified projects as every part can be recycled and the motors are energy efficient. 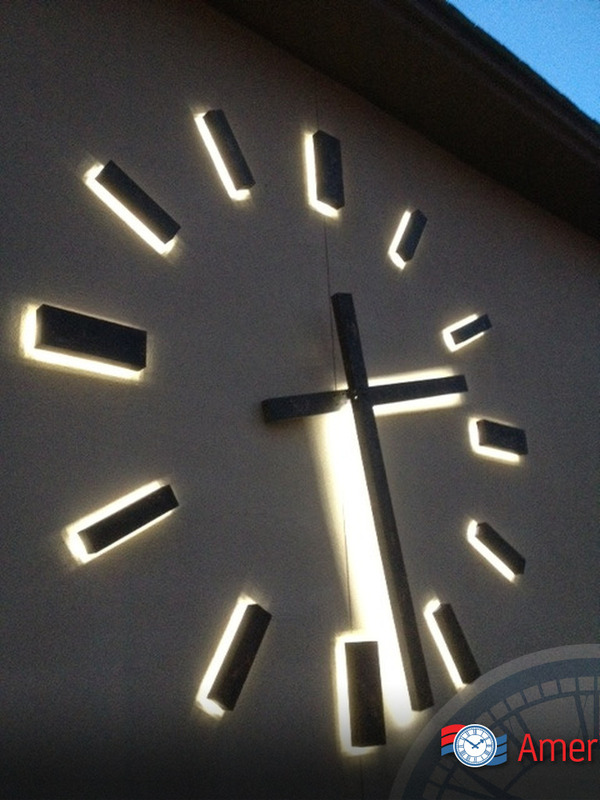 Americlock fabricates clock hands, or clock arms, that can be custom-made to your design, or you can choose your hand style from our stock design. Our clock hands are made from reinforced aluminum, stainless steel, RF-friendly material for your cellular tower clock, or wood to reflect your historical clock restoration. By using a counterbalance on the tail of each clock hand, we guarantee that the clock hands will not place any unnecessary stress or wear on the clock movements. Our RF-friendly hands are made using composite materials that are extremely durable, resist corrosion and do not interfere with radio frequencies. These hands are ideal for cell phone towers as well as LEED-certified projects. 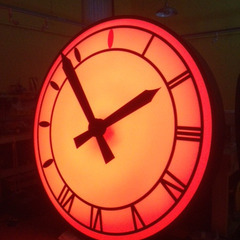 The LED lights Americlock uses to illuminate it’s drum clocks, floral clocks, and halo-lit clocks are energy efficient and long lasting. You can choose from among the following light colors: white, red, blue, green, or amber. 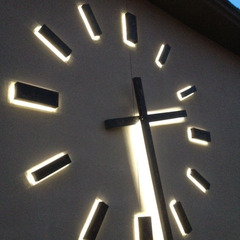 We also offer LED lights that can change color randomly or following a program. Unlike neon lighting, which is expensive to run and maintain, LED lights will last longer and are easier to service. Americlock offers LED NEON lights, which are a direct replacement of neon and are less costly to install, operate and maintain. LED lights will also turn on no matter how cold the climate, unlike fluorescent or neon lights. 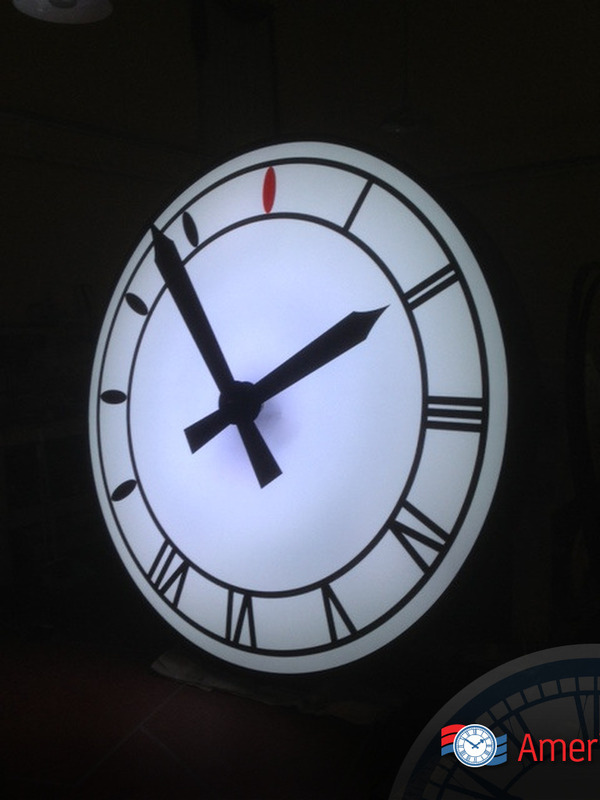 LED lights are placed inside your drum clock, or behind your halo and silhouette clock to ensure proper lighting and no hotspots or dark areas. 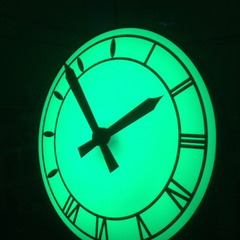 Americlock also offers RGB (red, green, and blue) lighting. RGB LED lights combine colors together in various ways to produce a broad array of colors. 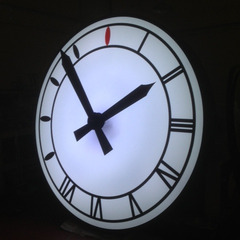 RGB lights can be static or change your clock background to any color you desire. 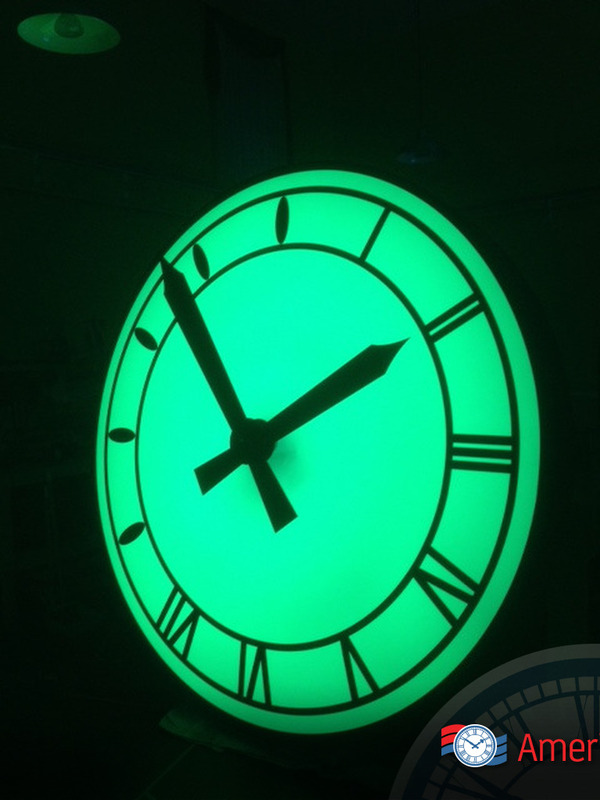 Furthermore, you can program your clock lights to change colors on automatically or to leave your clock at a static color.